An intersection in Brick Township that has drawn the ire of both motorists and officials will keep its oft-maligned lane pattern, Mayor John Ducey said. The intersection of Route 70 and Van Zile Road falls under the jurisdiction of the state. Route 70 is a state highway while Van Zile is a county road. For two years, the township – which has no control over the intersection – has been lobbying for changes to its turning lanes, largely to no avail. Word came last week that the status quo will remain. 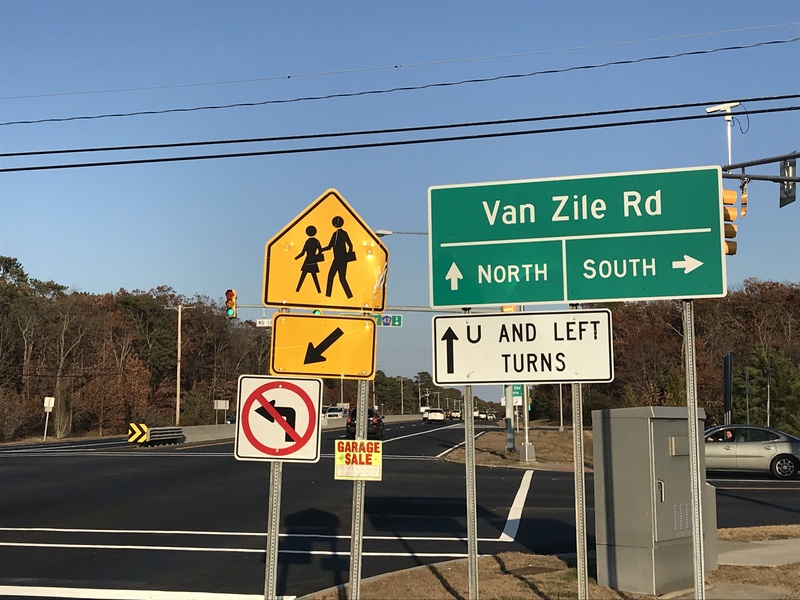 Brick officials say, and motorists have often contended, that state highway engineers screwed up a request to add a right-turn-only lane at the intersection of Route 70 and Van Zile by creating a left-turn-only lane instead, producing more traffic delays than ever at rush hour. But now the state says the design is correct and what was intended. Residents had been requested a right-turn-only lane (on Van Zile, crossing Route 70) because dozens of vehicles intending on making a right turn on red could be held up by a single car going straight. Since the intersection crosses a state highway, the Department of Transportation stepped in and conducted its own studies of the traffic pattern. What resulted was the exact opposite of what the residents wanted: a left-turn-only lane. “We needed a right-hand-only lane and they created a left-hand-only lane,” Ducey said in late 2017, when the design was first changed, opining that the problem could be solved with a few cans of paint. Last week, during a Facebook Live town hall session, the mayor delivered the bad news. From the DOT’s perspective: “The way it’s designed is the way that’s proper, and they’re happy with the condition of it,” he said.